The Wonderful Pig of Knowledge! 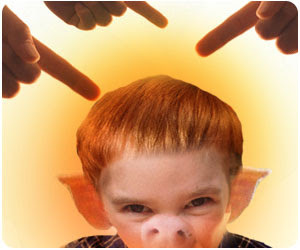 : Is It Wrong to Call Someone a Pig? Is It Wrong to Call Someone a Pig? I hate to wade into our cultural obsession with celebrities, but I thought it might be worth linking to an article in Salon about Alec Baldwin's now infamous phone message for his 11-year old daughter Ireland, whom he called a "rude, thoughtless little pig." Heather Havrilevsky's op-ed (here) asks the question "What's so wrong with name-calling? anyway. While it doesn't have much to do with pigs beyond a clever reference to Ralph and Piggy from Lord of the Flies, it was accompanied by this illustration of a pig-like child that called to mind the 1946 film Johnny Learns His Manners that I blogged about last week . I suppose it further testifies to the ease with which western culture uses its ideas of pigs to comment negatively about a person's supposed traits.